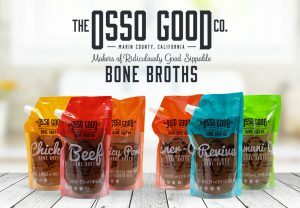 bone broth recipe Archives - Page 4 of 4 - The Osso Good Co. Looking for a delicious Osso Good Bone Broth Smoothie Recipe?! It is full of healthy fats, proteins, and minerals. The perfect breakfast to start your day. The best part is it keeps you full for hours and tastes delicious! You can make it very simply in the morning or as an afternoon snack.